The capital will swing to the sounds of the Big Band era this weekend when for the first time four of Canberra’s Big Bands come together to play at the one performance. 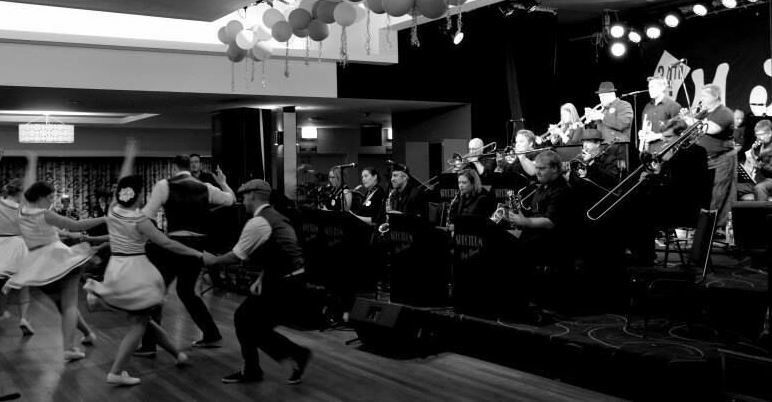 Swing into Spring – Canberra’s Big Band Bonanza on Saturday August 26 will feature Connexion, In Full Swing, Blamey Street and Canberra City. Playing the jazz or jazz-influenced popular music made popular during the Swing Era from the mid-1930s until the late 1940s, a Big Band typically consists of about 20 musicians and contains vocalists, saxophones, trumpets, trombones, and a rhythm section. Musical Director of In Full Swing, Beth Way, said Canberra had a thriving Big Band scene with nearly 10 community Big Bands and many more in the school system and universities. She said the music always got people tapping their feet and gave everybody a great time. “It’s great for dancing and we’ve got a wonderful contingent of dancers that come and support us from the Canberra Swing Kats and Jumptown Swing,” she said. She said that over the past decade the one big opportunity to hear Canberra’s Big Bands had been to attend the Merimbula Jazz Festival on the Queen’s Birthday long weekend in June. “We all intend to continue to make the trek to the Merimbula Jazz Festival but we thought it would be great to also provide some opportunities to hear these great Big Bands in Canberra,” Ms Keen said. The bands will feature vocalists and soloists from all of the band sections, and music will include everything from Basie to Bublé and beyond, as well as a Leisa Keen tribute to Ella Fitzgerald who would have turned 100 this year. Ms Keen said modern artists such as Michael Bublé and Robbie Williams had contributed to a revival in swing music, introducing the style to a new generation of young people. 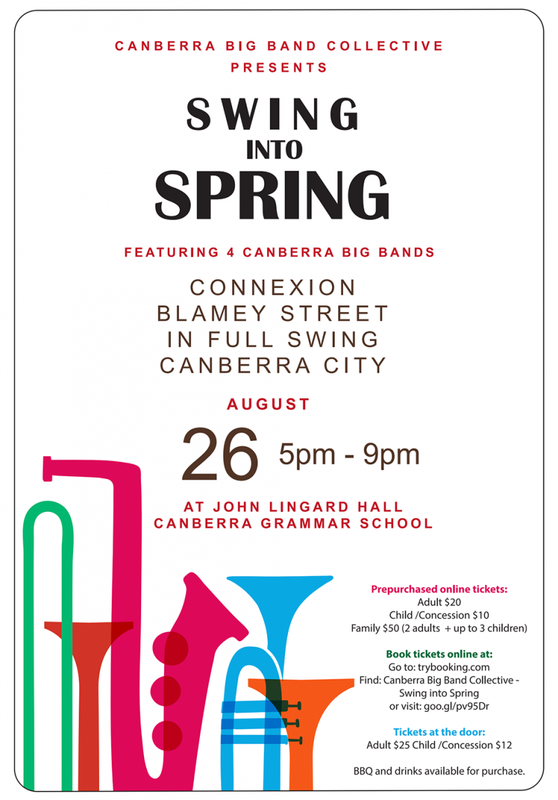 Swing into Spring – Canberra’s Big Band Bonanza will run from 5 pm to 9 pm (doors open 4.30 pm) at the John Lingard Hall Canberra Grammar (junior boys) School. Each of the four bands will perform a full set of Big Band music. Food (barbecue and snacks) and drinks (soft drink, beer and wine) will be on sale. Tickets: Pre-booked – Adults $20. Child/concession $10. Family $50 includes 2 adults and up to 3 children. Book online at: https://www.trybooking.com/book/event?eid=293016. Door sales: Adults $25. Child/concession $12.